The Bi-State Development Agency’s (BSDA/Metro) current debt restructuring plan received a major boost on Friday, June 7, as Moody’s Investors Service provided a positive upgrading of the financial outlook for the Agency. Moody’s assigned an initial rating of Aa3 for the Agency’s Combined Lien Mass Transit Sales Tax Revenue Appropriation Refunding Bonds, Series 2013. At the same time, Moody’s upgraded the 2009 Senior Lien Mass Transit Sales Tax appropriation bonds to A1. BSDA/Metro announced last year plans to restructure more than $400 million of its long-term debt to lower its long term borrowing costs and strengthen the Agency’s financial position. The Aa3 rating reflects strong debt service coverage and will positively impact cash flow by lowering the cost of borrowing. Proposition M, Proposition M2 St. Louis City quarter cent sales tax. and the Proposition A half-cent sales tax represent a combined pledge that has significantly strengthened the bond offering. The upgrade of the Series 2009 bonds to A1 ultimately reflects the elimination of a challenging debt structure that included a bullet maturity this fiscal year and exposure to variable rate demand bonds. BSDA/metro is looking forward to completing the bond restructuring within the next few weeks. The result of the restructuring will lower the cost of debt over the next 30 years. 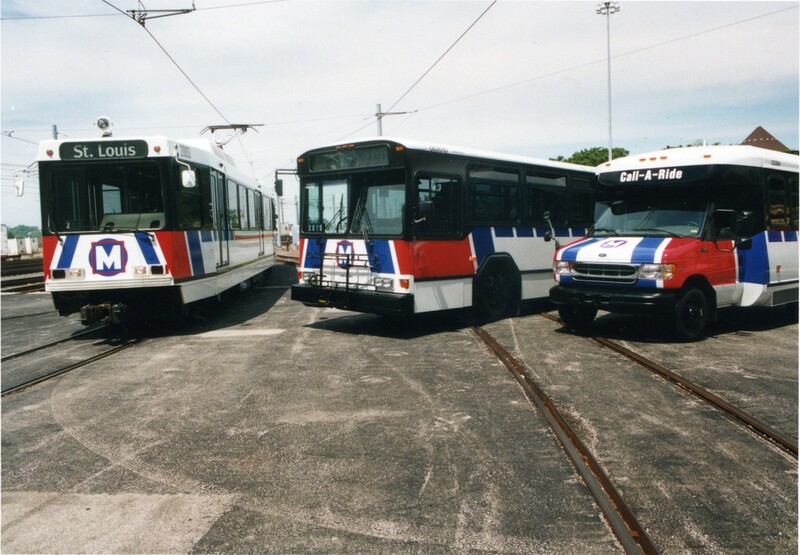 The Bi-State Development Agency owns and operates the St. Louis region’s public transit system which currently includes 87 light rail vehicles on the 46-mile MetroLink system which will celebrate its 20th year in service in July. 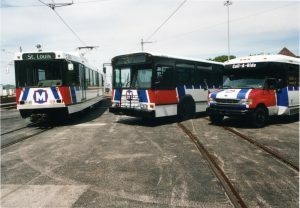 BSDA/Metro operates a fleet of 374 MetroBus vehicles on 75 MetroBus routes and operates a paratransit fleet of 121 Metro Call-A-Ride vans. In addition, BSDA/Metro owns and operates St. Louis Downtown Airport and surrounding industrial business park as well as the Gateway Arch Riverboats. It is responsible for operating the Gateway Arch Trams, the Gateway Arch Revenue Collections Center, the Gateway Arch Parking Facility, and St. Louis Riverfront attractions.